It’s not easy being six inches tall. Christmas is a lot of work for Santa’s little helpers ...and they get hungry! Home after home has plates of cookies just waiting for Santa to dig in. But what about the elves?! 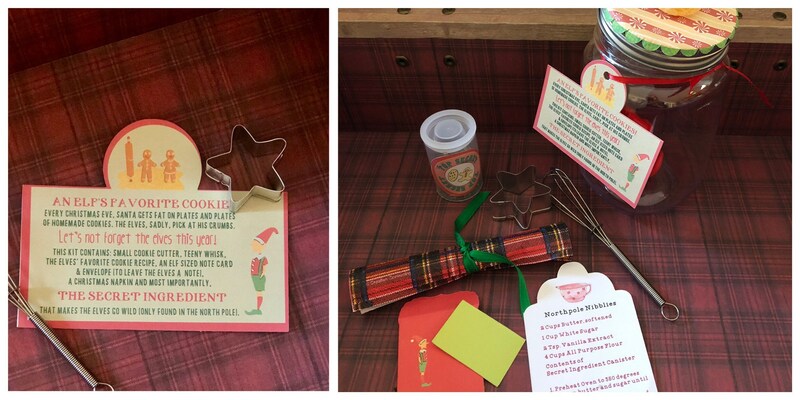 This kit provides a recipe for the elves’ favorite cookie, straight from the private cookbook of Mrs. Clause herself! 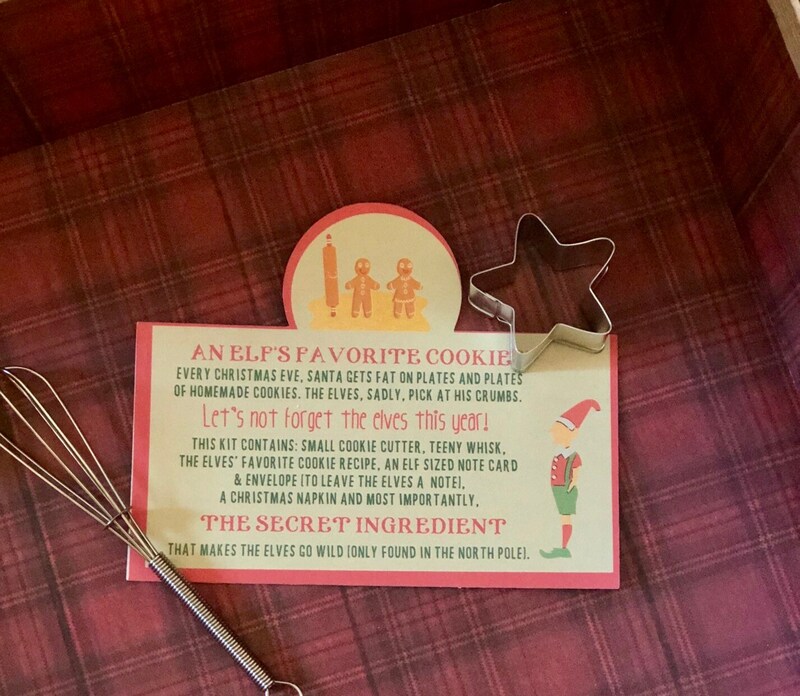 And along with the recipe is a TOP SECRET canister of the SECRET INGREDIENT that makes the elves go crazy, a tiny cookie cutter, a miniature whisk, a holiday napkin to leave with the cookies, and an elf sized notecard to write the elves a little message. 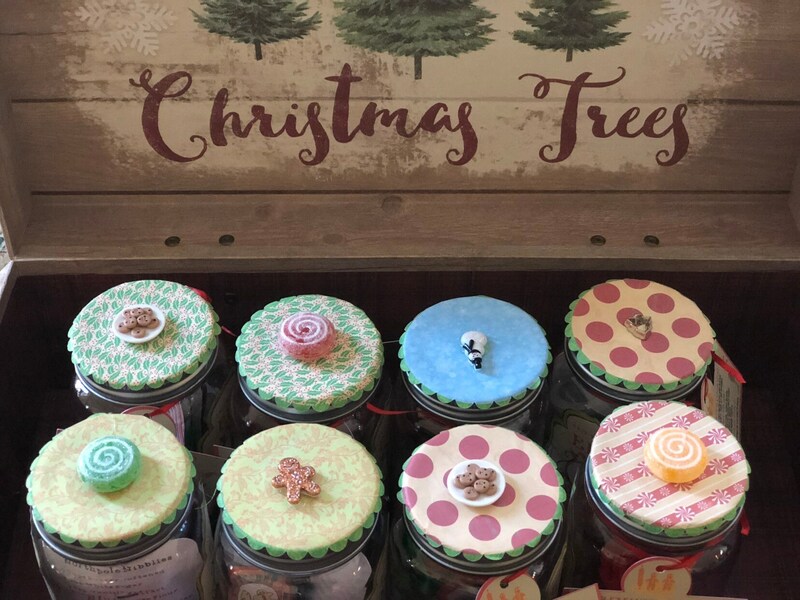 All enclosed in a plastic mason jar with an adorable embellished lid. And the attached creative tag explains it all. Trust me, I speak for the little guys and they won’t forget this act of kindness! 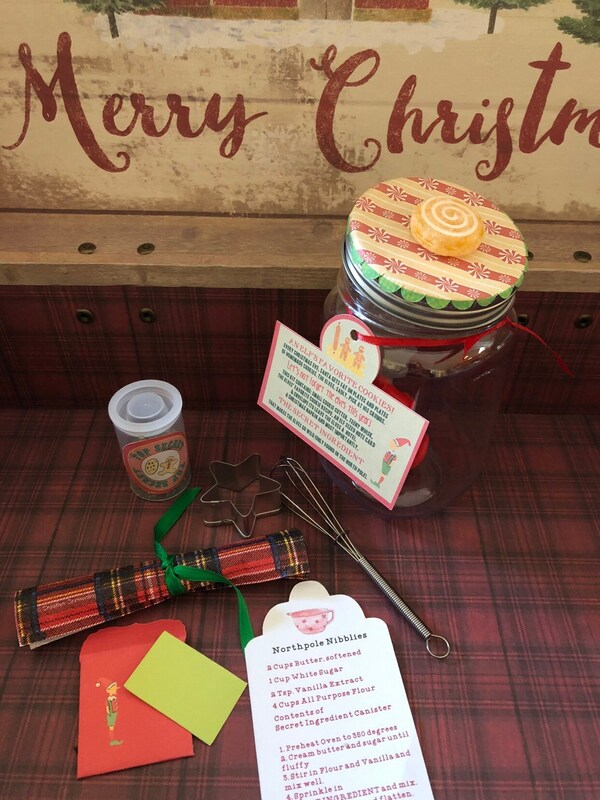 This kit is a wonderful Christmas Eve activity to do with your kids or grandkids- or it makes a great secret Santa or hostess gift! The *top secret ingredient is quite rare and can only be procured from my North Pole contacts. Don’t miss out on this chance! *ok it’s edible sugar glitter but don’t tell!